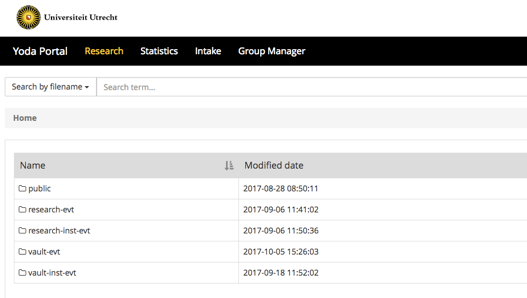 In case you are Researcher with granted read access for the Vault, the main screen of the Research Module will also show you the vault of your usergroups. Clicking for instance vault-evt will present a list of all datapackages in the Vault. 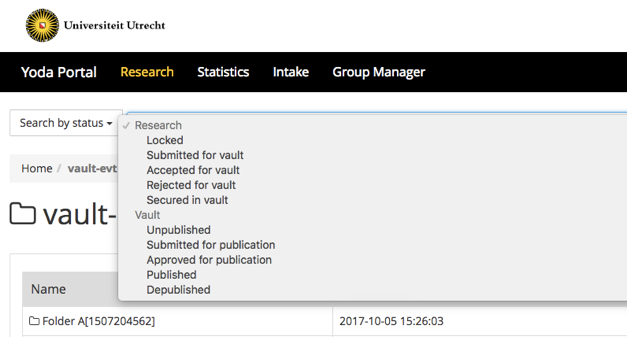 You will see which folders from your Research area were sent to the Vault as a datapackage. As one folder can be sent more than once a unique identifier is added in the Vault. This is shown in the screen below; you see two datapackages for analysis. 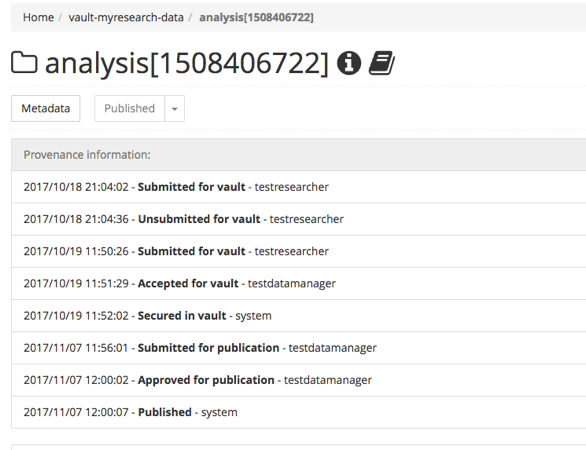 Searching for a specific datapackage in the Vault. a folder named “original” containing everything you packaged. the metadata.xml belonging to the package. Clicking the i next to the package will show information. Clicking the book next to the package will show the provenance.